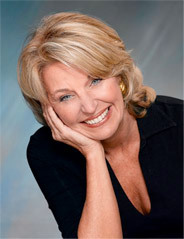 "Carol Temple has assisted me in the purchase and sale of homes on 3 occasions over the years. Her advice has always been accurate and my most recent Arlington home sold for full price within the first week. My opinion of Carol is not just because this last sale was so successful. It is because she is a professional who understands the market, understands people, inspires confidence in her judgment and she is a credit to her profession." "It certainly does not come as a surprise that Carol was recognized in 2015 as Coldwell Banker’s #1 real estate sales associate for the state of Virginia. As a lender, I know that compliments coming from me might appear that I am merely trying to garner favor for business purposes, but this is the first testimonial I have ever written on behalf of an agent in the 24 years I have been in the real estate lending business. I can attest to aspects of the real estate transaction that her clients don’t see, which is her careful attention to detail and professional process that assists the title company and lenders in our heavily regulated industry. She is the absolute best at communication and timely responses, so she plays a crucial role in keeping her client’s transactions on straight tracks. Her clients always share with me how they love Carol’s comfortable style of business so she obviously has that aspect covered as well!" "As a real estate attorney and business owner, I have worked with many agents throughout the years. There are few in the industry that can rival Carol's expertise and overall business acumen. Her transactions are always seamless and drama free as Carol anticipates and averts any issues that could derail her client’s experience. In those unavoidable instances where complications arise, her proactive nature and calm professionalism ensures that the end result is positive for all involved. When surrounded by a sea of emotion that is typical of a real estate transaction, Carol maintains her professional objectivity and never loses sight of the ultimate goal of getting her clients into their new home or out of their old home. My goal as the settlement attorney is to match and continue the extraordinary level of service that Carol's clients received from her throughout the process." "I've had the pleasure of being represented by Carol Temple in three transactions over the last ten years. Carol is the epitome of a real estate professional. She works diligently and efficiently in identifying her client's need. 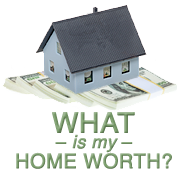 More than that, she helps the client obtain the best possible value, whether buying or selling. In each of my transactions, Carol laid out a very specific plan for obtaining the best possible price and provided expert advice in either making offers or responding to offers. I can confidently say that in each transaction I either obtained the highest price the market would bear or I purchased at the most fair and reasonable price. Carol has been such a role model to me that when recently deciding on a mid-life career change, I opted to enter real estate largely due to the example that Carol has set. Of course, I would never want to compete with Carol, so I moved to another state!" "When a career move took me and my family from New Jersey to Northern Virginia, I sought a REALTOR referral from an acquaintance who worked at Coldwell Banker's headquarters. He responded quickly and unequivocally with only one name – Carol Temple. It was immediately clear to me why Carol’s reputation was so strong; she was responsive, engaged and engaging, diligent, patient and exceedingly knowledgeable about the Arlington real estate market. What distinguishes Carol from other REALTORS is her unique combination of technical knowledge and interpersonal skills. She had an uncanny ability to know what we needed and wanted without our having to tell her. We've recommended Carol to many friends and family and they’ve all agreed that Carol is the best REALTOR they've ever dealt with." "In 2015 we both sold a home and purchased a new one. Since we are two professionals with young children, this was a very busy and chaotic change for us. Carol helped us prepare our old home to sell by providing honest feedback on quick improvements. She even provided recommendations on which professionals to use. Our home had eight offers on it within a day of the open house! Settlement on our old house and our new home went smoothly due to all of Carol’s diligent homework. Unfortunately shortly after we moved into our new home, there was a plumbing leak and we were forced to move out. This was outside of Carol's professional obligation to us, but she stepped in again to help us quickly find temporary housing and a contractor to begin repairing our home. We can't recommend Carol enough. She has deep history in the Northern Virginia real estate market and makes a very chaotic time go very smoothly." "I interviewed 3 highly rated local real estate agents in order to select one to handle the sale of an investment property in Arlington. Carol was by far the most impressive of the three and certainly lived up to my expectations. Her knowledge of the market and expertise in navigating multiple offers was instrumental in successfully selling the property for above the original listing price. She was always available to answer questions, provide advice and effectively deal with the skittish first time buyers and their inexperienced agent. Add me to your long list of satisfied clients." "As first-time home buyers, my wife and I were expecting the process to be a dreadful, anxiety inducing wallet and spirit bruising challenge. Enter Carol Temple – the single most knowledgeable, calm, straight forward real estate professional we’d encountered. Her intimate knowledge of properties and areas combined with her professional hand-holding and cool demeanor were quite disarming. All of these qualities led to the most important one of all: Trust. We knew from day one that we were in the most capable hands. Those hands guided us to our dream home and did so painlessly. I cannot evangelize Carol Temple's expertise, patience and professionalism enough. Simply put: Carol Temple is Real Estate!" "A friend recommended Carol Temple to us. Carol was not only instrumental in finding two homes for us to purchase that we love, she also made sure we didn’t purchase alternative houses that, in hindsight, would have been major mistakes. We honestly don't know how we would have navigated this real estate market without her guidance. She helped us understand what we needed in the first place. She connected us to superb financing and home services through her extensive professional network. We would never consider working with anyone else." "Carol you truly outdid our expectations. We could not have engaged a better person to manage the sale of our Arlington home. Following your "right-on" guidance on pricing and presentation, you sold our home in three days! Moreover, your support leading up to closing/settlement were over the top in excellence. You successfully guided us through the removal of several contingencies and ensured that nothing fell through the cracks. You kept our anxiety at bay." "Carol was everything we had hoped for in a real estate agent. Her knowledge and expertise led us to a quick and smooth sale of our home." "Carol was exceptional. She listened, coached, counseled and definitely knows her stuff. She kept us on track, focused and positive." "Carol is a can-do woman who gets the job done. She consulted me as appropriate, made all the right professional judgments and she did all the work. Carol developed and executed the marketing strategy and, not only made it easy for me, she sold my home at the best possible price." "Carol was amazing to work with. No other agent could have completed our very complicated sale. We can't say enough good things about Carol's performance!" "Generally, when I am asked for referrals I try to provide at least two or three names. If, however, someone asks me if I know a good residential real estate specialist, the only name I would consider providing is Carol Temple!" "We were so impressed with Carol when she represented the Buyer who bought our house that we said to ourselves, 'Who is this woman? We want her on our side next time.' So... we made sure Carol represented us with three subsequent properties. We will be calling on her again whenever we have a real estate need." "Carol provided me with contractors to prepare the house for sale and provided oversight when I was unable to do so. Her organization skills and follow-through are exceptional. The result was a speedy, successful sale of our home." "Carol's professionalism put us at ease at the very first meeting. We knew we were in good hands and felt secure and confident. Carol gave invaluable advice and encouraged us to use the provided information to make our own, informed decisions. Carol proved to be an honest, ethical agent and deservedly gained our full trust and confidence." "Carol Temple is the reason my property sold. Prospective sellers and buyers should never underestimate the value in choosing an agent who knows the area, the other local agents well, and who is well known and well-connected in the local real estate community. Carol was the reason my selling process was so uncomplicated." "Carol gave us clear guidance when selling our long-time home and buying another…including telling us 'no' when it needed to be said. We felt very supported and unpressured. What a positive experience." "Carol Temple knows Arlington! It's as simple as that. After 'spinning wheels' with another agent we called Carol at the advice of a colleague. With an abundance of experience, Carol knows exactly what her clients want to accomplish and how to obtain results. It was a wonderful experience to watch a master at work." "Carol minimized our stress and provided us with excellent advice on pricing and presenting the house. We were absolutely confident that she would provide us with sound advice and represent our interests which she consistently did. Carol was always responsive to questions and concerns and found our buyer in an amazingly short time." "Carol's patience, flexibility and professionalism got us through a very stressful time. We had placed our property in the hands of an agent who steered us wrong. It was overpriced and we lost valuable time. In short, our credibility was shot. Carol fixed our mistake. Due to Carol's careful analysis and recommendations and her appropriate pricing and marketing, she managed our situation with professionalism and sold our property." "I have been selling and buying homes for 42 years and Carol is the best agent I have worked with -------ever!" "Mine was not an easy sale. In order for it to be a success, it had to be marketed just right, emphasizing the positives and downplaying the negatives. In your creative and well placed ads, you targeted just the right buyers most likely to be attracted to my property. My hard-to-sell property not only sold in 14 days but your help at a difficult and complex closing, due to the buyer's agent's inexperience, was invaluable and greatly appreciated." "Carol succeeded selling our property where another agent had not. The 2 experiences were like night and day." "Our first meeting with Carol impressed us so much that we felt that if she was half as good as she seemed we would be happy. Well, she wasn't half as good – she was twice as good! She sold our house quickly and for top dollar. She dealt with our house sitter in a professional but firm manner, accomplishing what we had been unable to do in the way of cooperation. Carol's talented, reasonably priced contractors quickly fixed everything that needed fixing and her terrific cleaning woman's magic touch vastly improved our chances of a good sale. Carol was sensitive to our sadness at selling a house that been in our family for 45 years. She is the consummate professional. Thank you so much for all you did to sell our house. Everyone talks about the nightmares involved when selling property but working with you was a dream." "Carol Temple is a professional. Her response to my calls and emails was always incredibly prompt and her calm and wise advice was invaluable." "Carol kept me focused throughout the whole process. Her knowledge of real estate is amazing. I never would have gotten to this point without her help." "I have worked with Carol both as a buyer and a seller. She listens to her client’s needs and works hard to ensure that these needs are met. She makes a purchase or sale work." "Carol provided great guidance prior to our house going on the market and worked superbly to find a good buyer at a good price. Her professionalism gave us confidence in her ability to perform which was borne out by the successful conclusion of our sale." "Our experience was excellent. Carol provided accurate and informed advice about pricing strategy, advertising and negotiating. We could not be more pleased with the experience and the results." "Your knowledge, professionalism, organization and resourcefulness made our sale painless and your focus and negotiating skills produced a smooth outcome. Suggestions that you made were always based on firm and informed information that I could trust. I also greatly appreciated your almost instant accessibility when I had a question or concern. You have my highest recommendation." "Carol was outstanding in keeping me informed. Her advice was sound and delivered in a very professional manner." "Carol was extremely easy to reach and, more importantly, was able to accurately read the market which enabled me to get the best possible price for my property. I am confident that if Carol had not managed my sale, I would have less profit." "Carol is an extremely effective, dependable professional. I have nothing but good things to say about her. She was extraordinarily competent and absolutely on top of her game – five stars and three thumbs up!" "Carol never loses focus regarding her clients’ best interests. Carol managed both a sale and a purchase for us and proved what it means to be a talented, smart and savvy professional. I highly recommend her." "From the moment we first met Carol at an open house we knew she was the REALTOR for us. Carol helped us find and purchase a property when we were ready to down-size and expertly managed the sale of our Arlington home. She was focused, specific and gave us her undivided attention. Every detail mattered to Carol, whether we were aware of it or not. Poised, polished and a true professional." "I can't thank you enough for helping us sell my Dad's property. We interviewed 4 different real estate agents and not one of them compared to you and your very impressive sales record. Since I was out of state, your help in handling everything from painting to repairs made my job easy. To top everything off, you sold the property at very close to our asking price. I was truly impressed by your professionalism and your connections. It made the process so much easier than I anticipated. I wholeheartedly recommend you to anyone!" "We have worked with Carol every time we have purchased or sold a home and are always thrilled with the result. Carol is efficient, practical and has a wealth of knowledge regarding Arlington real estate market. I always feel well represented every step of the process. She is the quintessential professional!"